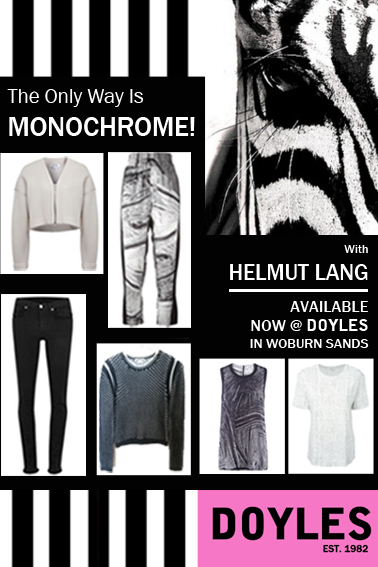 With monochrome styling such a bit trend for SS15, what better collection to focus on that Helmut Lang! Known for it’s stylish and clean line designs which focus heavily on a black and white palette! Here are just a few of our favourite pieces for this season but to see the full collection….head to see us now! http://doylesfashion.com/wp-content/uploads/2014/05/logo.png 0 0 Doyles http://doylesfashion.com/wp-content/uploads/2014/05/logo.png Doyles2015-04-08 13:12:592017-10-05 10:52:29SS15 KEY TREND ALERT...MONOCHROME! SS15: STATEMENT STRIPES! LYDIA MILLEN – FASHION BLOGGER LOVES DOYLES!